We will once again showcase our complete end-to-end product portfolio with partner EIS Techinfra Solutions on booth E45 at Infocomm India (Mumbai, 18-20 September 2018). India has quickly transformed into one of the fastest growing ProAV markets in the world as more and more businesses recognise the benefits that IP video technology and digital signage bring to unified internal communications. Exterity recognises the importance of the Indian market, and through our partnership with EIS Techinfra Solutions we are looking to further increase our presence in the region. At Infocomm India, visitors to our stand will be able to see first-hand how the latest innovations to our product portfolio are meeting local demand for IP-based solutions and empowering businesses to maximise the impact of their communications. Central management platform for managing the end-to-end IP video solution, with ArtioSign and ArtioGuest built in. The powerful new Smart Control app brings control of key IP video system applications and end points, including non-Exterity devices such as Smart TVs, into one central location. Exterity’s integrated digital signage and IPTV solution enables organisations to deliver dynamic HD/4K signage to any display. The latest version includes numerous product feature enhancements including the ability to add live Twitter feeds to signage, automatic conversion of imported video, meeting room status display, and support for Samsung Tizen TVs. Launched in 2018, Exterity brings its new interactive guest experience portal to InfoComm India for the first time. ArtioGuest delivers a seamless, interactive TV and video experience for hospitality guests on any device. At the show, Exterity will also demonstrate how the flexible UI can be applied to other vertical markets with ease. 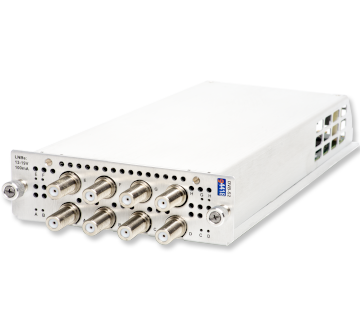 Used to capture live digital TV and radio channels from any terrestrial, satellite or cable source, which can be streamed directly over an IP network to any device. 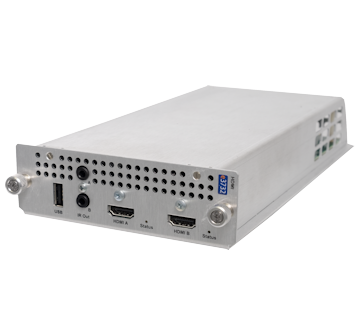 Enables streaming of live and pre-recorded video up to 4K and audio directly onto an IP network. Whilst a number of industries are flourishing in India, the corporate and finance sector is seeing the strongest growth, in part due to the high number of international companies investing in India. We are also seeing increasing interest from local companies to improve communications with their clients and internal teams using Exterity’s high-end products and solutions. Our partnership with Exterity helps our customers overcome their communication challenges by combining Exterity’s cutting-edge IP video and digital signage technology with our on-the-ground support, resulting in tailored solutions that meet the needs of the highly diverse Indian market.